For centuries the Pastoralist Maasai tribe of East Africa wore the red Shuka. So common is the idyllic scene of the Maasai grazing cattle under the wide African sky. 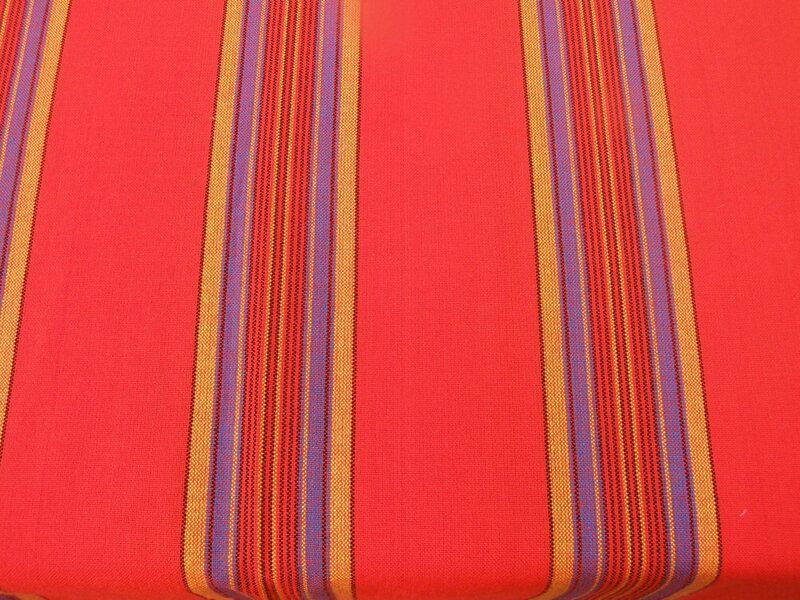 This Warrior Run Shuka has 3″ Burgundy lines along with 1/4 wide stripes of blue and orange. Maasai Shuka is still worn but also used as a bedding blanket, a picnic cloth, a wall hanging, and cut into all sorts of shirts, shorts and dresses. Maasai blankets come in several styles. Measures approximately 56″ X 80″ with two selvage edges and two simple rolled hem edges. They are made from an acrylic cotton blend in Tanzania.